Sold by STC Distributors and Fulfilled by Amazon. 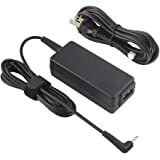 Amazon's Choice for "lg gram"
Sold by STC Distributors and ships from Amazon Fulfillment. The ultra-lightweight 13Z980 LG gram laptop with 13.3” touch display combines consummate portability and uncompromising performance with up to 18 hours of battery life. 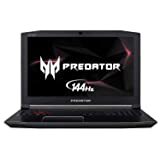 The compact metal alloy body is both lightweight and durable, while its 8th-gen Intel Core i7 processor plus 8GB of dual-channel DDR4 RAM assure blazing speed. 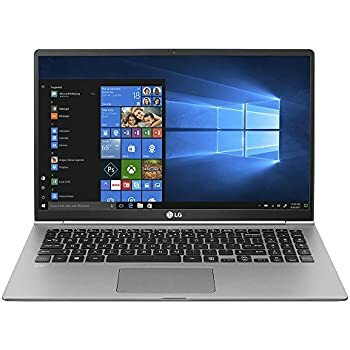 This LG gram has a 256GB solid state drive and a host of connectivity options included USB 3.0 Type-C.
Take this 13.3" Z980 Series almost anywhere, any time, without worry. The high-capacity 72Wh battery lasts up to 18 hours, and innovative design fits a 13.3 inch screen into a remarkably compact body. But even with a host of features, LG gram is so lightweight (just over 2 pounds) you can carry it with just two fingers. 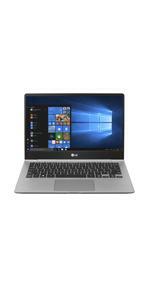 LG gram has the performance users demand, starting with an 8th Gen Intel Core i7 processor and DDR4 dual-channel memory. Windows 10 assures easier multitasking, while the array of ports includes USB Type-C. The Full HD IPS display supports a broad color gamut to deliver lifelike picture quality. The LG gram is more than ready for the rigors of real-world use. It’s passed seven industry-standard tests to prove its military-grade durability. The premium nano carbon magnesium full metal body is tougher than the shell of conventional laptops, yet it’s still remarkably lightweight. 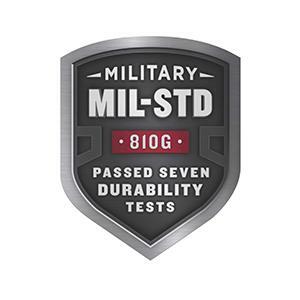 Note: MIL-STD-810 - Environmental Engineering Considerations and Laboratory Test. LG gram packs exciting features. 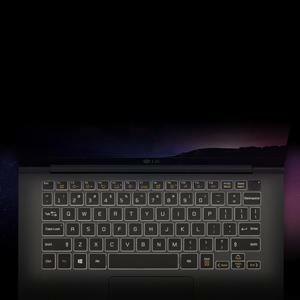 Keep going in dark environments with the backlit keyboard, while the touchpad supports up to four-finger multi-touch gestures. The HD webcam on the top bezel is ideal for video calls, while DTS Headphone:X provides the thrilling effect of 11.1-channel surround sound. Whatever the task at hand, LG gram packs ease, style and security. An advanced IPS display enables responsive touch control in a slimmer screen panel. 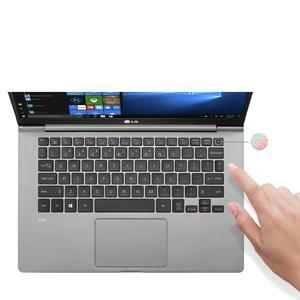 The fingerprint reader unlocks the laptop with a push of the power button. 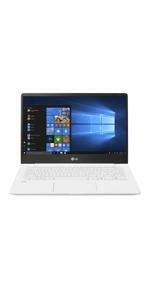 The updated LG gram arrives with a compact 13.3” 1080p IPS touchscreen display and improved 72Wh battery with up to 18 hours of battery life, in a laptop that weighs barely over 2 pounds. 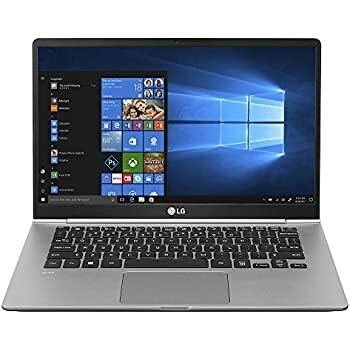 Enjoy premium performance from the 8th generation Intel Core i7 processor, durable metal alloy construction and the many connectivity options, including USB Type-C. .MobileMark 2014 standard (MobileMark is a trademark of the Business Applications Performance Corporation). Performance level is utilized for comparison purposes only, and does not necessarily reflect the battery life that will be achieved. 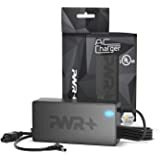 Actual battery life will vary from specifications depending on model, setup configuration, applications used, features utilized and power management settings. 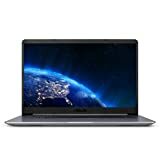 5.0 out of 5 starsGreat laptop! This laptop is pretty amazing. I've been using it for a little under a month and it has not disappointed me. The weight is quite convenient, especially considering how much I carry it around. The fingerprint sensor is pretty quick, though sometimes it asks me to place my finger on it a second time due to the computer missreading it. Having two backlighting options is pretty cool, especially if you want to save a bit of battery. With this product, however, that will hardly be a problem. I have gone as long as two entire days without charging it when using it for document editing and video browsing. It can handle light video editing, but that's going to drain the battery a bit quicker. -It scratches relatively easily. I've gotten a few, barely noticeable ones by just pulling it in and out of my backpack. I'd recommend getting a sleeve or skin for it. UPDATE: I just got a sleeve for it. 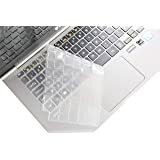 If you decide to buy one online, keep in mind that the bezels on this device are pretty thin, so a 12-inch sleeve fits a bit better than a 13-inch one. I have been using this computer for work for two weeks now. 10 HOUR BATTERY LIFE WHILE ACTIVELY IN USE!!! 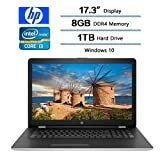 I use a fairly processor intensive piece of software for work, and while using this next to others with a variety of laptops from brand new Dell $200-$500 specials and even a gaming laptop that the guy bought just back in december. This thing kicks all their a**es in performance!! Not to mention the SUPER light weight, and the awesome screen. The touchscreen function is something that I got and figured I would never use. NOPE! I use it all the time! The keyboard is amazing and the track pad works great. The only problem I've had is the right click functionality is hit or miss at times. 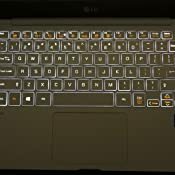 I actually find typing on this laptop preferable to the desktop keyboard I'm using to write this review...and it's made for gaming. I will admit that the trade off for performance over storage concerned me at first, but then I don't intend this to be my primary machine. If you intend it for that...well there are better machines for one, but also I would invest in a 1TB NVME drive and take advantage of the expansion built in. Just keep in mind that I think opening it may void the warranty. 1.0 out of 5 stars*****Avoid LG ****** Very delicate & flimsy, bad company, NO support. Try Huawei Matebook! Read on! Junk. Grabbed screen to move across table and "CRACK", the screen broke. 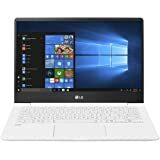 As for this laptop Can't return, been a little over the 30 days and LG wants to charge me at least $500 to repair. They did not even come close to backing this product. $1,300 paperweight. Actually.... It's now been re-commissioned as an HTPC and...well...not so bad. Thanks LG! 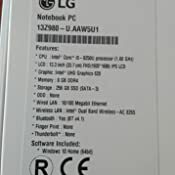 Could have been an OK laptop but I'm glad I found out how LG is before we did the 277 unit roll out to our employees. I'll just stick with Dell or HP. If you want a real treat, go see the MacBook Air killer or perhaps the Macbook Pro killer. It is the Matebook (yes that's right Matebook) X Pro made by the Chinese behemoth, Huawei. 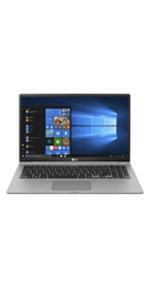 It is the sleekest, thinnest, sharpest solid block aluminum laptop I have ever seen! So cool was it, I bought one and am typing this edit on it. It is simply awesome. It for sure has that "Apple like magic" where you just don't want to take your hands off it. I'll tell you, for almost the same money, this Huawei makes the LG crap look like Fisher Price! 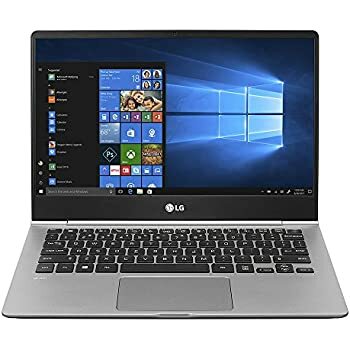 As a longtime Director of IT, I should have known better than doing a mass rollout on a new hardware platform but the LG Gram was enticing with it's light weight and long battery life. Makes for happy employees. But.....trust me folks, this LG laptop is NOT durable and will break with little force. 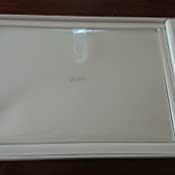 I've been working with mobile computing (laptops) for our employees for 2 decades and have NEVER seen a laptop break so easily and worse, from a company who takes zero responsibility for it. Absolutely ZERO! Now (1/9/2019), while checking something on the LG HTPC, I accidentally leaned on the keyboard and the D & C keys both just popped off. It's a joke! This thing is rubbish. Again, from an IT expert, my recommendation is to search elsewhere for a light laptop with a good battery. LG is bad news. You just don't know this until something goes wrong. UPDATE for LG: We just purchased 290 Dell XPS 13's. 2018 edition (not 277 as I previously mentioned). LG, are you reading? You could have used this "notch" on your belt. All you had to do was help ONE customer and you failed that test miserably. Great start in your laptop venture. 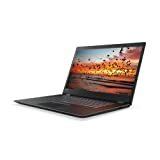 UPDATE 12/28/18: Several of my users (myself included) didn't really like the Dell XPS and went on a mission to find something more current and sturdy feeling. Enter into the equation, the new Huawei Matebook X Pro and holy mackerel, if this thing lasts, it is the finest laptop I have EVER seen or felt! I kid you not. You MUST check this thing out. 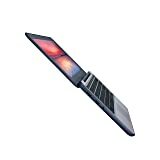 It is like a Macbook Air or Pro but BETTER! No kidding, it feels far more solid than Apple's Air and Pro offerings and has more horsepower AND is a touch screen and costs significantly less $$ than Apple's and you don't have to deal with incompatibilities of IOS instead of Windows. 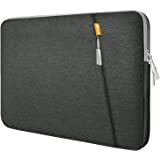 This Huawei laptop is very thin, like Apple's Macbook Air but is a bit heavier but it is plenty light but it feels expensive, solid, like it is made of steel instead of aluminum but it is aluminum. It just feels smart, solid and significant. It has nice heft to it but is not hefty. 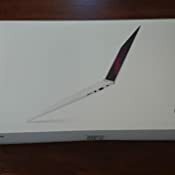 It is the sweetest feeling and looking laptop I have ever seen, hands down and that includes Apple's heavily over-priced stuff Many reviewers call it the best laptop of 2018 and some say it is the best laptop EVER! I totally agree with those reviews and can see with abundant clarity why they have come up with that conclusion. as I stated, if it lasts and, to be completely honest and based on the way it feels when I hold it or use it, this should will hold up quite well! It's that good! 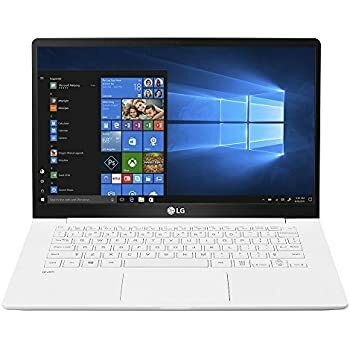 It has excellent, above average battery life, like the Gram and the Matebook is thinner and similar looking to the LG but the Matebook, seriously, makes the Gram feel like a fisher price toy. I have both of them right here, right now, in my possession and it is completely true. The Matebook is thinner but NOT "bendy" or flimsy like the Gram is. I'm telling you, if you saw what I've seen and knew what I know, choosing the Matebook over the Gram is the biggest no brainer in history of mankind! 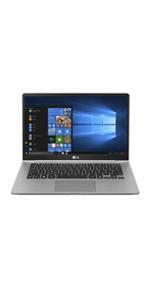 Matebook is available in a couple of configurations (i5 and i7) 8th generation. I have the i7 16GB RAM, 512 NVMe SSD AND, to boot, and I forgot to mention it, it (my version) comes with a discreet Nvidia graphics card with 2GB dedicate video RAM so gaming is possible at fair frame rates with this rig. The cost for mine was $1,499 which probably works out to less $$ than LG for comparable specs. I am super glad I found this thing and to have that LG crap out of the picture. I haven't decided on whether or not to fix the LG or just leave it commissioned as a home theater PC (HTPC) on my 4K 65" TV. It works perfect for that since the screen is cracked and totally unusable but the rest of the machine works fine. I can't take my hands or eyes off this Matebook thing. This is reminiscent of the iphones when they were new and hot. Do yourself a favor and do not miss out on what could be the best laptop ever, the Huawei Matebook X Pro. After reading this to check for errors it occurred to me that I look like a total Huawei "fan boy". Is there such thing? The way this Chinese company is producing electronic devices there are sure to be fans but I assure you, I am not....Yet. Anyhow, check this laptop out and see for yourself. Amazon allows you to return it if you don't want it. I ordered the LG Gram 2018 w/ knowledge of what I was getting into. 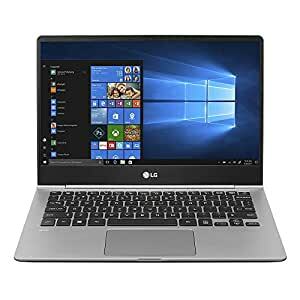 At the end of the day, I wanted an Ultrabook that had plenty of power and excellent battery life. 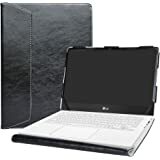 On top of that, I wanted something that was very portable--to which I'd rather this over a Macbook Air that has a processor a few gens old. -1080p resolution on a somewhat premium device. I can stand not having the best resolution, the screen is small. I'll get a M.2 1TB storage solution when a nice deal shows up on Slickdeals. While Thunderbolt has its uses, I can survive without it; thankfully it comes with a USB-C port that can accept a charge if you're on the go. Yep, this is basically a Macbook Air. Except, I'll leave my actual Air at home from now on. This laptop us amazingly light and runs great. One small feature I really like is the finger print scanner on the power button. I like security but hate messing with passwords. The battery life is very impressive. I have used it on and off for days and it just keeps on going.